The Pittsburgh Pirates were relatively quiet the first two days of Winter Meetings in Nashville, but they made some noise on Wednesday afternoon. 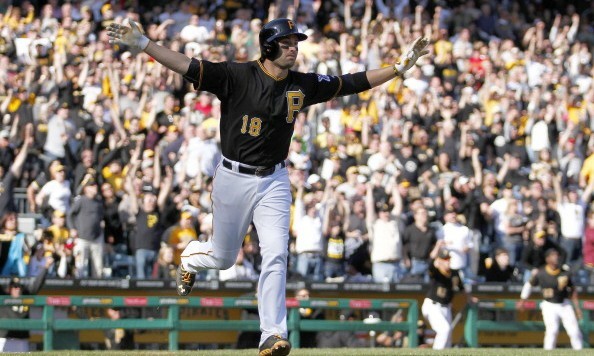 The Pirates were rumored to be looking to shop second baseman Neil Walker to the Angels, Mets, Nationals, or Dodgers. The Angels seemed to be making a push for Walker in the early afternoon Wednesday, per Rob Biertempfel, but the Mets were able to lockup a deal with Neal Huntington and the Pirates organization. The Pirates agreed to send Walker to the New York Mets for starting pitcher Jon Niese. Walker is going to be a free agent after the 2016 season, and he is due $11-12 this upcoming season. Huntington, along with other GMs, has a history of getting something for a player who is going to become a free agent the season thereafter. Walker would most likely demand a big contract that the Pirates would be unwilling to take. The Pirates saw that the window to shop Walker would only be open for a short time during the Winter Meetings, so they made the most of their opportunity by filling a position that they desperately need. Walker batted .269 in 2015 and had 16 home runs and 71 RBI, with a WAR and slugging percentage of 2.4 and .427, respectively. These stats led to Walker winning the Silver Slugger award in 2015, which helped boost his offseason value. Niese was 9-10 with a 4.13 ERA in 2015 for the Mets, and he had a ground ball percentage of 54%, which is exactly what Ray Searage and the Pirates want in a pitcher. Niese’s W-L and ERA aren’t the most attractive but Searage has a history of fixing and improving pitcher’s statistics and value. Niese is due $9 million in 2016, and he has a team option for 2017 and 2018 for $10 million and $10.5 million that the Pirates will most likely pick up if Niese produces. Niese is also a year younger than Walker is at age 28, and his contract fits into what the Pirates want to do in the long term. Walker is a hometown kid, so fans are against this trade because they won’t have their hometown hero to root for. But they are forgetting the fact that they were screaming for the Pirates to make roster improvements this offseason, which they are trying to do. The Pirates made the right move by dealing Walker when they did, regardless of what the fans think. Walker was drawing massive amounts of attention this offseason after Ben Zobrist signed with the Chicago Cubs, and the Pirates took full advantage of their opportunity. Niese is going to be a back end of the rotation guy, who could potentially work his way up to the number three guy in the rotation. He gets ground balls, which is what the Pirates want in a pitcher. Niese looks to be a great addition to the back end of the Pirates rotation, as they look to compete for the NL Pennant.